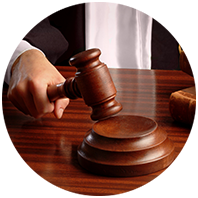 The Law Offices of Jonathan C. Capp provides skillful and dedicated representation for both Plaintiffs and Defendants in US State and Federal Courts. We have recovered millions of dollars in settlements for our clients. Sometimes people think that they can get away with not paying someone in another country, or that even if a foreign court enters a judgment against them, such a judgment has no value in the United States. We are waiting to give people like this an unpleasant surprise! Jonathan C. Capp can chase up debtors for foreign creditors in the United states, and if necessary will file suit against them in court either themselves or with the assistance of local counsel. If required, we will explore all option available including pre judgment attachments and will file suit for fraud if the facts warrant it. People who believe that foreign judgments in the United States have no value are often mistaken. As long as the foreign court has exercised proper jurisdiction over the American resident company or individual, and as long as the American had proper notice of the initiation of the foreign action, a judgment thus entered by a foreign court will normally be respected and enforced by an American court. Typically, the foreign judgment holder has to show that the American judgment debtor was properly sued in the foreign court. Such examples would be if the American conducted business in the foreign country , struck the contract there, purchased product from the foreign country there, or if the object of the dispute was located in the foreign country. We can represent our international clients on hourly rates, for flat fees and also on contingency-that is on a no -win no fee, percentage recovery basis. Copyright © 2016 Capp & Associates. All rights reserved.